With Xtend Connect, you can change quickly from an activity foot to an everyday foot and keep the same socket, so you don’t need to carry complete sets around with you. Or change quickly between high heels and everyday foot – without disturbing the important settings, of course. truncating the connecting tube to the correct height. 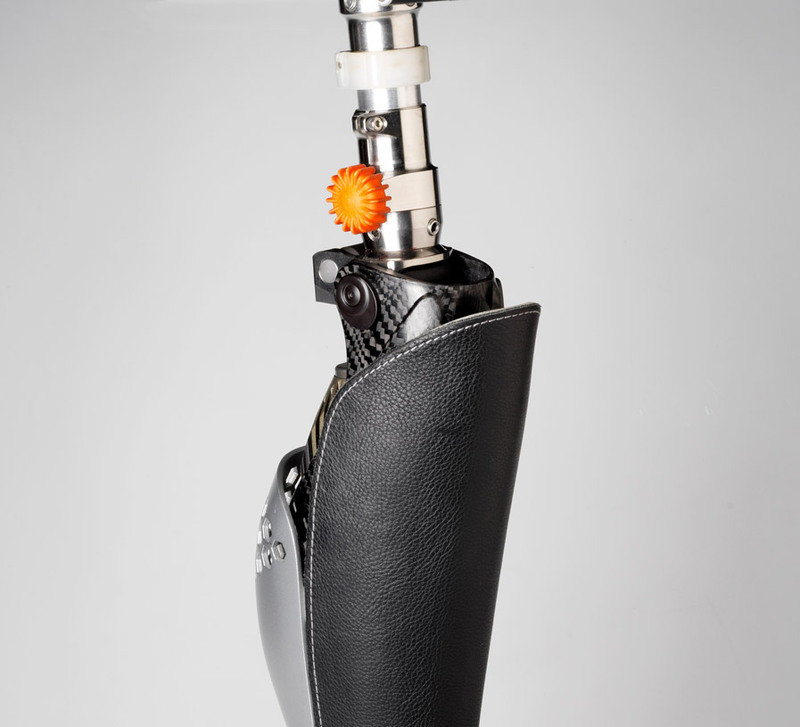 It is also easier for the prosthetic user to change the foot if there is a tube to hold onto. Remember, too, that you need to order two lower components for the different feet. 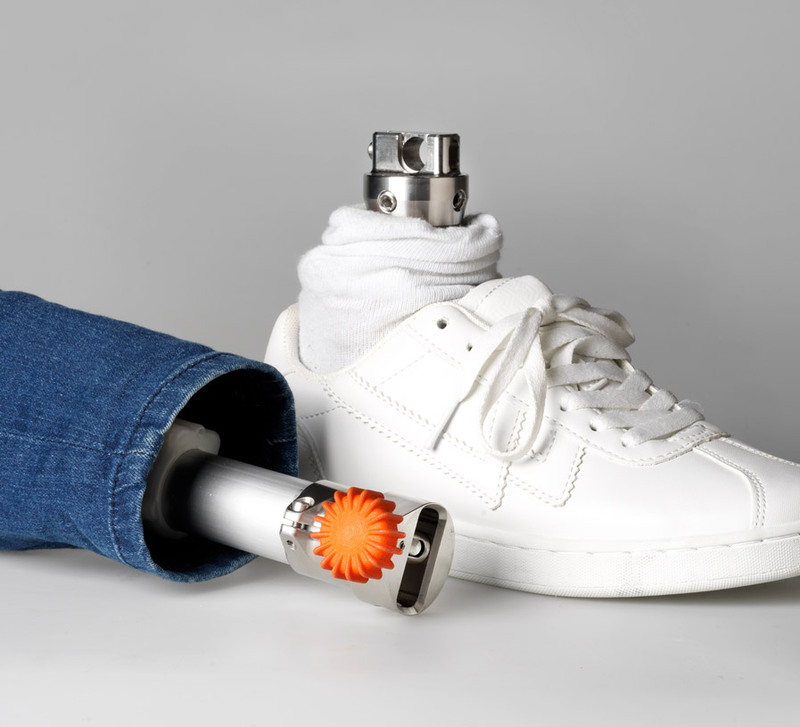 Here you can put Xtend Connect wherever you like, but the lower down the prosthetic foot the connection is, the easier it is to pull on tight trousers. Bear in mind that changing knee joints can be heavy work for the prosthesis user, and that both hands are often needed to perform the change. Alignment is very important, and easiest to achieve if you use the female pyramid as a connecting component to the knee joint. Don’t be afraid to rotate Xtend Connect so that the quick fit unit faces downwards. This does not affect the functioning of the component, and can sometimes be easier for the patient to manage. 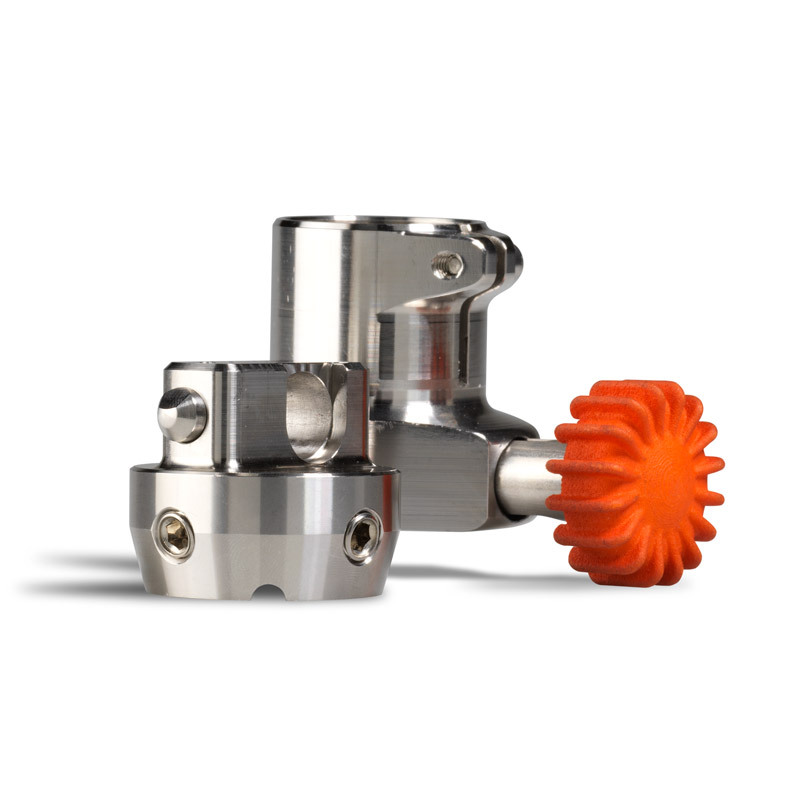 If the patient is entitled to two different types of activity prosthesis, Xtend Connect is an excellent product for saving on a complete prosthetic leg instead. 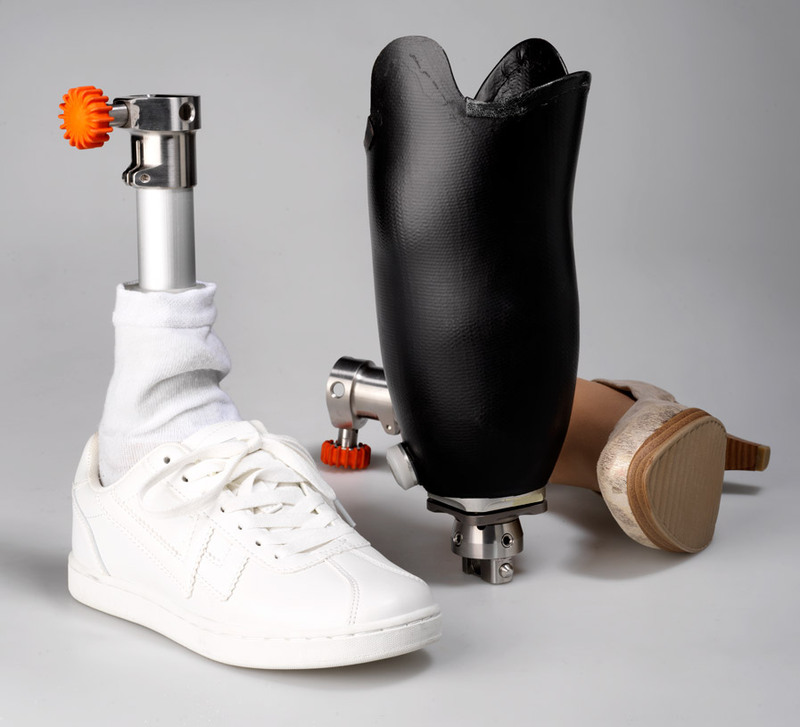 Choosing an Xtend Connect as a basis instead, and supplementing it with a sports foot, for example, is less expensive than a complete prosthetic leg.